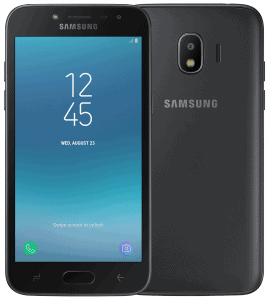 Samsung’s newest budget smartphone, Galaxy J2(2018), which is a successor to the Samsung Galaxy J2(2017) model has been listed online by a retailer in Russia. The website mentions the key specifications and price of the smartphone. According to the website, the smartphone is priced at 7990 Rubbles( roughly Rs 8,867). The website reveals that the Galaxy J2(2018) will bear a model number SM-J250F. Coming to the specifications, the smartphone will sport a 5-inch qHD Super AMOLED display with a screen resolution of 960 x 540 pixels. The phone will be powered by a Qualcomm Snapdragon 425 processor along with Adreno 308 GPU. It will consist 1.5GB of RAM and 16GB of internal storage, which can be further expanded up to 256GB via micro SD card slot. In terms of optics, the phone is expected to have an 8-megapixel rear camera with LED flash and 5-megapixel front-facing camera for selfies and video calling. The phone will run on Android 7.1 Nougat and it will be backed by a 2,600mAh battery. It is expected that Samsung would announce the Galaxy J2(2018) in the coming weeks.